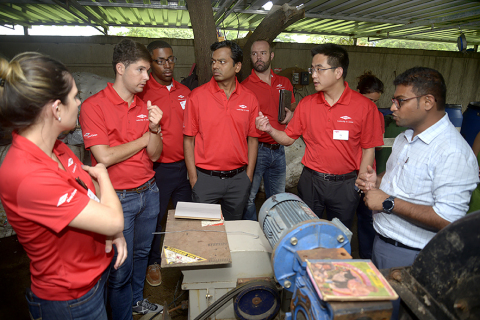 MIDLAND, Mich.--(BUSINESS WIRE)-- The Dow Chemical Company (Dow) sent 43 of its global leaders to Mumbai, India this week to address pressing local challenges related to sustainable housing, environmental cleanup, diversity and inclusion, circular economy, and education and career readiness as part of its sixth-annual Leadership in Action (LIA) program. United Way Mumbai: Part of the 130-year-old United Way movement, with a mission to improve lives by mobilizing the caring power of communities to advance the common good. United Way is looking for Dow LIA participants to support their campaign, Clean Shores Mumbai (creating a visible change in the cleanliness of Mumbai’s beaches) by designing methodology for tracking, measuring, and effectively communicating the initiative's impact, leading to increased community awareness and ultimately community participation. Follow this year’s journey on the web or via Twitter at #DowLeads.